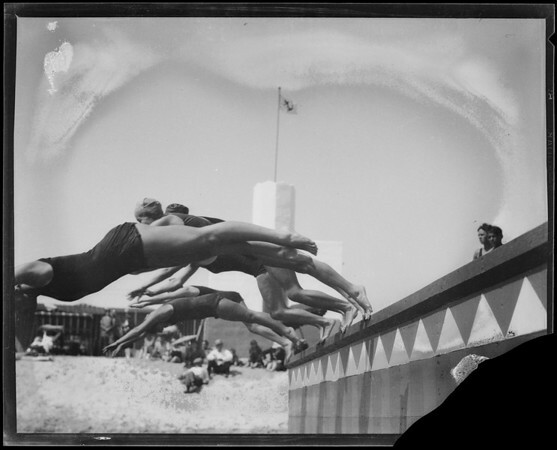 41 photographs of aquatic sports, Lido Isle, Newport Beach, CA, 1928. "Sports at Lido Isle, Riding Horses etc. 192873A41DW1928872273ADW1928872273A41Aquatic sportsMenWomenBoats and boatingFurnitureSwimmingCostumeFlagsLos Angeles Athletic ClubElsbach John P.